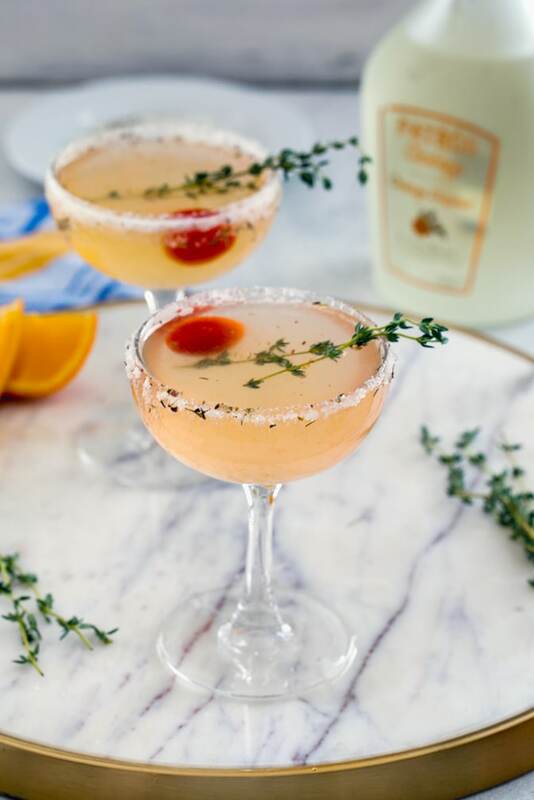 This North End Margarita, inspired by the city of Boston, involves muddled tomato and a lemon/thyme/pepper citrus salt rim and is just one of the entries in Patrón Tequila’s Search for 2018’s Margarita of the Year! This post is sponsored by Patrón Tequila, but as always, all opinions are my own. Thank you so much for supporting We are not Martha! Raise your hand if you celebrated International Margarita Day last week. OK, now raise your hand if you don’t need an “international” holiday to celebrate and just drink margaritas whenever you dang well feel like it! I’m obviously in the latter group, but I also appreciate the extra excuse of a drink-themed holiday to get me pulling out the margarita glasses and tequila. Especially if said holiday is on a Wednesday when I may not otherwise find myself sipping on margaritas. This year, I had a very good excuse to drink margaritas because, in addition to International Margarita Day, I’m working with Patrón Tequila to promote their very exciting Search for 2018’s Margarita of the Year! This is their fourth year embarking on the search for the best margarita and this year, they’ve selected seven bartenders from around the world to design their own interpretations of the Perfect Margarita inspired by their local region. How cool is that? I’m here today to tell you all about the Boston contender and encourage you to try it out for yourself. And also to tell you to vote for your favorite margarita over on Patrón’s website; you can vote once a day! Boston has been home to me forever, so I was excited to mix up the North End Margarita and learn why bartender Stephen King created it. 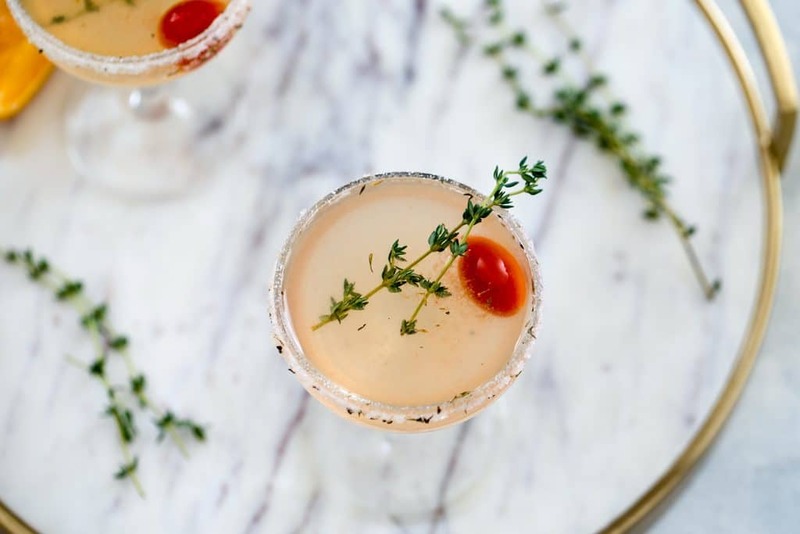 It starts with a muddled cherry tomato and while some may think this is a little odd, I’m urging you to try it for yourself because it’s actually amazingly delicious and the perfect touch to this margarita. King got the tomato idea from wandering around the North End, Boston’s Italian neighborhood and I love that he took his idea back to the bar and came up with a margarita that works really, really well. The North End Margarita uses Patrón Reposado (my favorite!) and Patrón Citrónge Orange (an orange liqueur that helps make the perfect margarita). 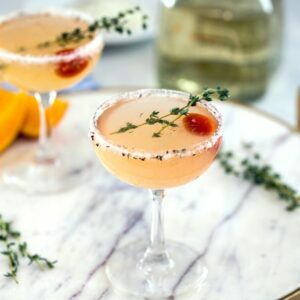 In addition to the tomato that’s muddled with agave nectar, the other really unique aspect of this margarita is the lemon/thyme/pepper/citrus salt rim on the glass. 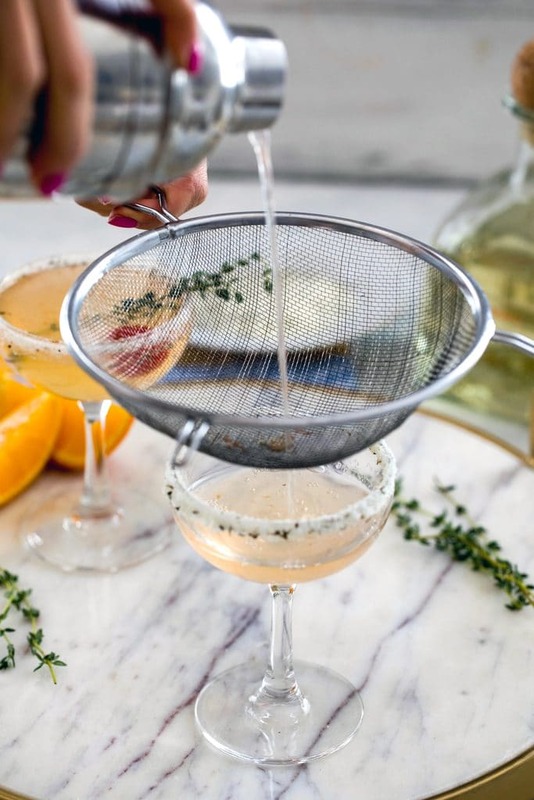 You simply muddle salt, pepper, and thyme with lemon zest and the result is way more delicious than a typical salted rim. I may or may not have been using my finger to lick the remaining citrus salt on the plate. Another one of my favorite parts of this margarita? The color! 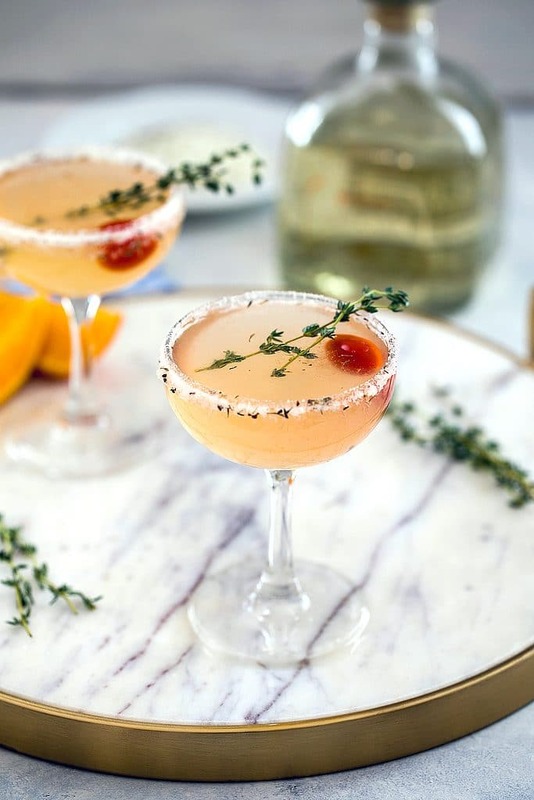 The muddled tomato combined with the Patrón Citrónge Orange made for a super pretty peach hue. You pour the drink into the glass through a mesh strainer so you don’t get any tomato seeds or remnants in the drink. And garnish the cocktails with another cherry tomato and some additional thyme. And then sip away! International Margarita Day, weekend evening, or just a random Wednesday afternoon. There’s no bad time for a margarita. Except maybe when you first wake up… though I’m sure it’s 5:00 somewhere, right? I honestly couldn’t believe how incredibly all of these flavors went together. The margarita has a little bit of sweetness from the tomato and agave, but also some tartness from the citrus, and a little bite from the salt and pepper on the glass rim. I really appreciate bartenders who can take a traditional drink like a margarita and give it a totally unique and unexpected twist. While I’d typically want to drink a margarita with tacos and a giant bowl of guacamole, this version made me realize margaritas can be paired with so much more. North End Margarita and a bowl of spaghetti with Bolognese? Yes, please! While I’m obviously rooting for Boston to win, I’m also incredibly excited about the other six margaritas involved in the competition. There are so many unique flavor combinations that I can’t wait to try! The bartender competitors will be tasting the cocktails at their respective bars around the world, but the recipes are all available for you to make on your own, too. Or you can check out Cocktail Courier’s kits, which include all necessary ingredients and garnishes for each of the seven recipes. Here’s the Boston kit. Would it be bad if I tried them all? 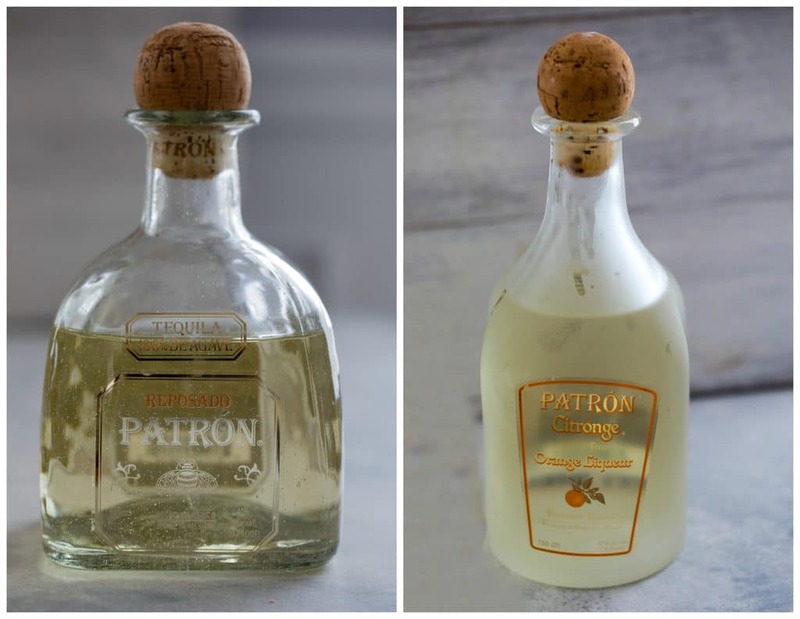 In the meantime, I’ll be voting for Boston every day until Patrón Tequila’s search is over… Which just happens to be Cinco de Mayo, another day that’s a wonderful excuse to sip a margarita. But like I mentioned, we don’t need any excuses around here! Check out all of the contenders in the Search for 2018’s Margarita of the Year and vote for your favorite now! Which of the seven margaritas looks the best to you? 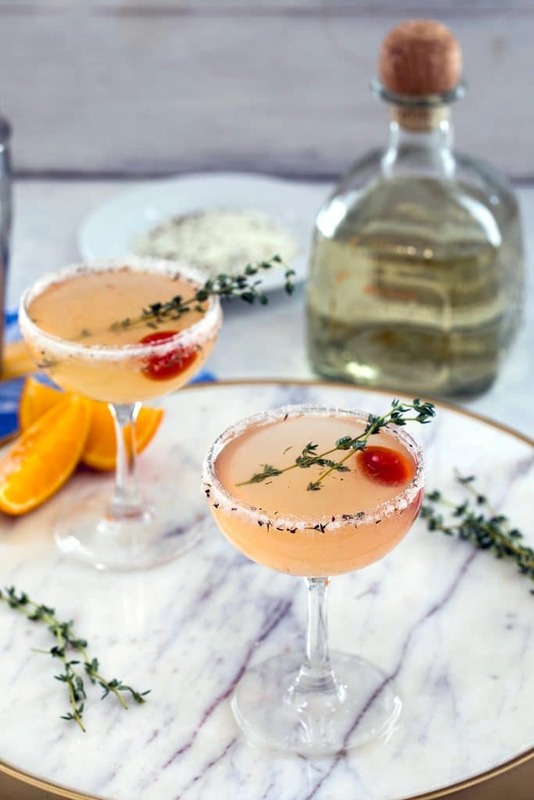 This North End Margarita, inspired by the city of Boston, involves muddled tomato and a lemon/thyme/pepper citrus salt rim and is just one of the entries in Patrón Tequila's Search for 2018's Margarita of the Year! In the bottom of a cocktail shaker, muddle one cherry tomato with agave nectar. Add liquid ingredients and one thyme sprig and shake vigorously with ice to chill. 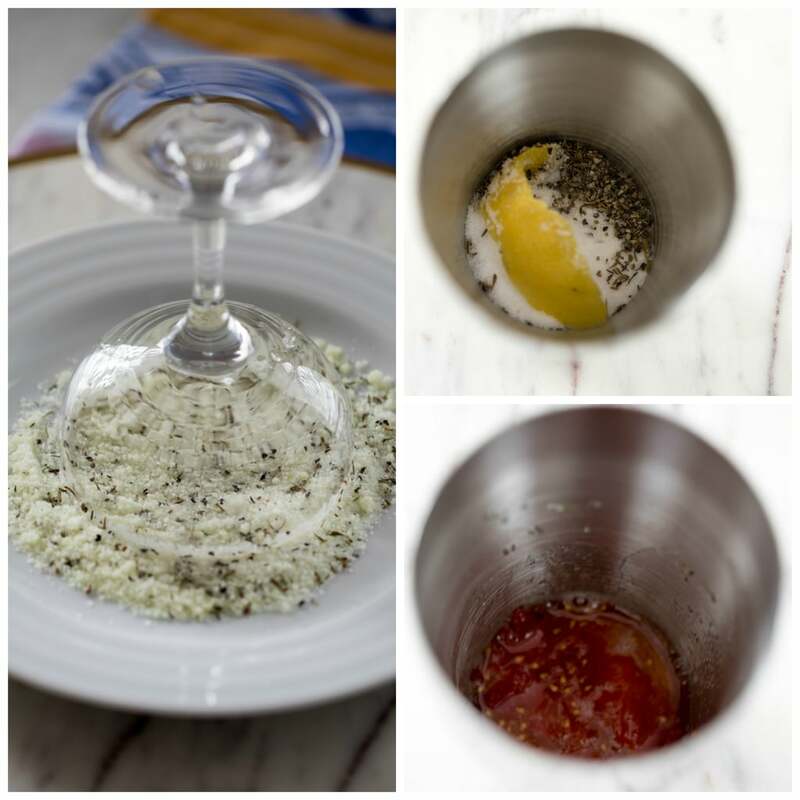 Strain through a mesh strainer into a chilled coupe that has been rimmed with the seasoned salt. Garnish with remaining cherry tomato and thyme sprig, but don’t go (historically) overboard. **Lemon/thyme/pepper citrus salt rim: Combine 2 tablespoons kosher salt, 1/2 teaspoon dried thyme, and a twist of black pepper with the zest of half a lemon. 9 Responses to "North End Margarita"
I am in love with unique cocktails. This one sounds like it’s right up my alley! I definitely don’t need a holiday to celebrate margaritas. 🙂 Give me some mexican food and a margarita any day of the week and I’m good! These look so good and interesting with the tomato! Oh and love the addition of pepper on the rim too. I personally was wondering why Margarita day happens in February instead of a summer month?! This is seriously unique. Kind of like a martini with tequila? I guess the savory aspect of it makes me think of it that way. I’d love to try one! It’s so pretty!!! Totally serving this at my next book club meeting! What a fun twist on a classic! Yes please! I love how unique and creative this cocktail is – sounds delicious! I also really love your photographs. YUM! This amazing “North End Margarita” is a real winner. Your description and beautiful photos are certain to make it #1! Now this is certainly a different margarita and it has to be a good one.